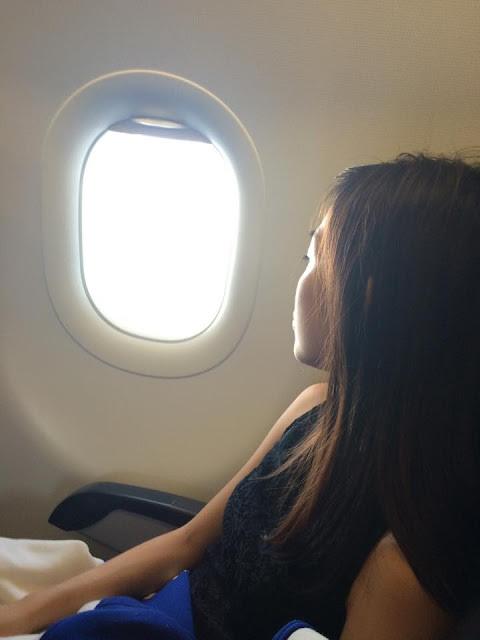 Travel.. Who doesn't love it? The past 3 weeks, I've been to Phuket, Desaru and will be heading to Malacca tomorrow. Now that I've hopped on board the wanderlust train, it's hard to stop. 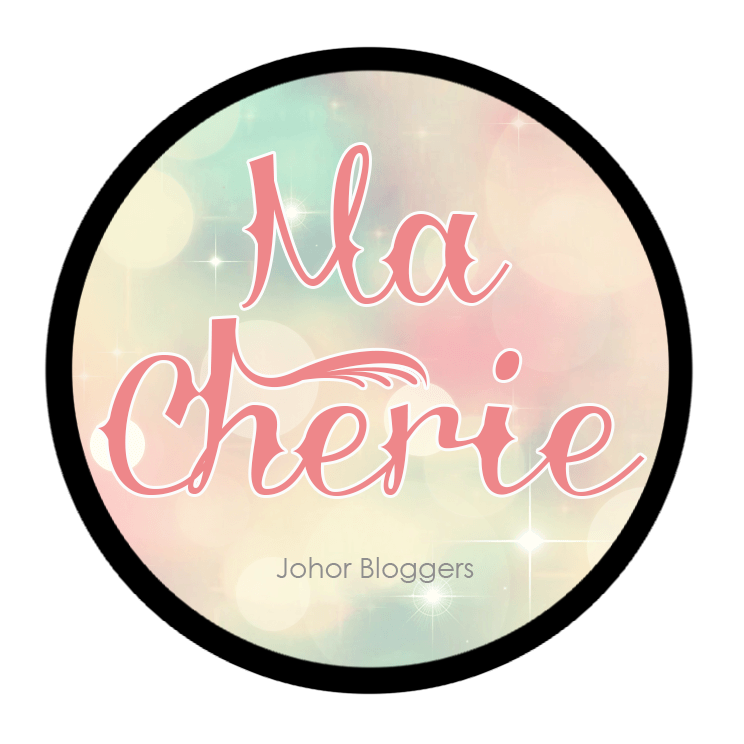 So while planning for my next trip, I've prepared a list for your reference too on where to go & what to do in Pulau Pinang, the island of Malaysia's pride & joy and a UNESCO World Heritage Site. 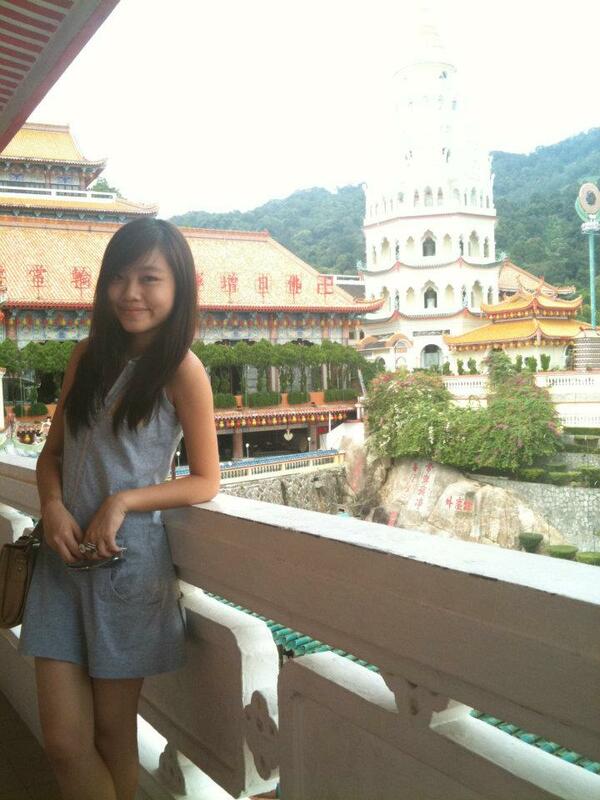 Now, I've been to Penang twice before so I'm no stranger there. 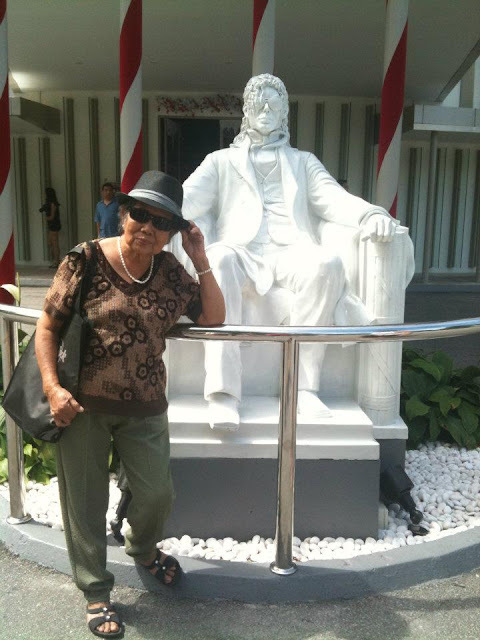 But I really wouldn't mind going back there again because of the rich history and not forgetting, the YUMMY FOOD!! It's true that Malaysians practically live to eat. Penang culture and food is heavily influenced by Baba & Nyonya heritage which is what makes it so unique. I've curated a list of places to visit when in Penang and food to savour, based on my travels there a few years ago. Much have changed since then and I'm really hoping to go back there again. It really feels quite surreal to walk around the magnificent temple and admiring the carvings & colours. 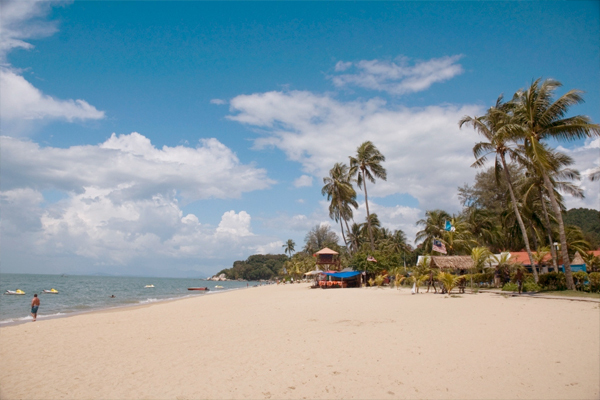 The most popular beach in Penang is undoubtedly Batu Ferringhi. It is situated along the coastal road of Georgetown and hosts a string of international and local resorts to cater to beach-lovers. Find the best aquatic and beach activities here and enjoy the sunset in the evening. Tell you a secret... In my 22 years of life, I've never tried any water-sports or beach activities before (despite going to the beach about 3 times already this year).. Perhaps it's time to experience it first-hand at Batu Ferringhi? Parasailing is definitely at the top of my list! I almost always stay around Batu Ferringhi area whenever I'm in Penang (well, I've only been there 2 or 3 times but you get my point). 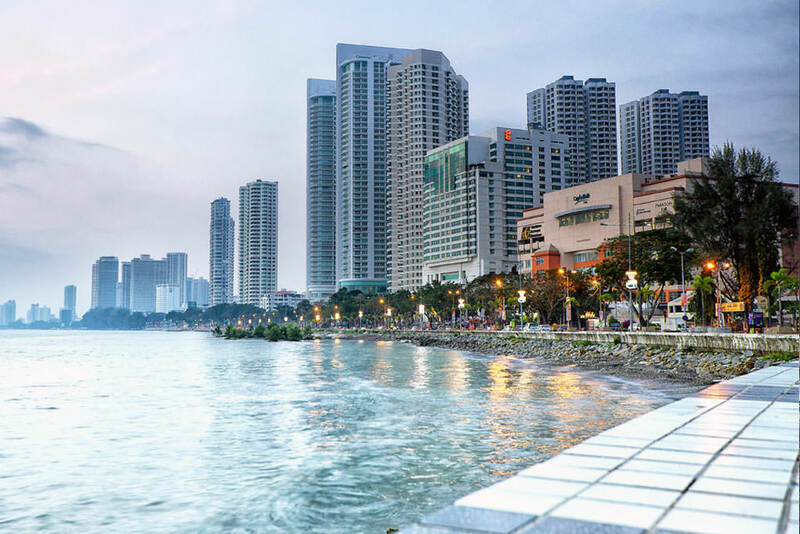 It's convenient and a great area to stay at because really, how can you say you've been to Penang if you've never been to the beach? The best hotel I've stayed at so far is Hard Rock Hotel Penang. We even got upgraded to the private suites which is located by the pool so you can literally slide open the door and jump into the pool! So so fun and everything is just great there - from the facilities, to service to food. I'd say it's worth every cent. Not forgetting, it's a great place for music lovers to be as there are musical influences all over the place, including some coveted items owned by famous music legends. 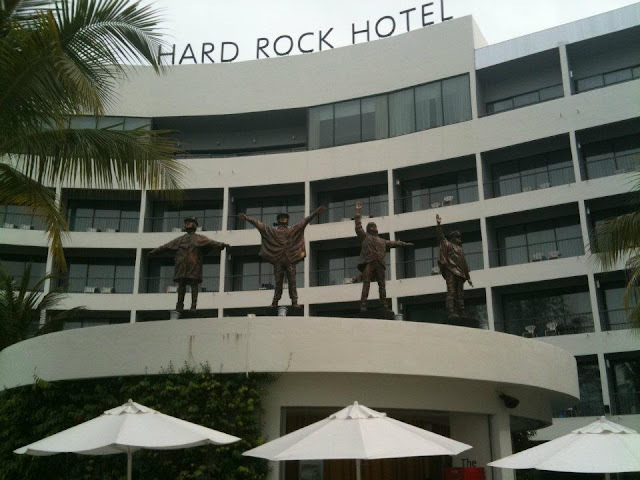 The theme for the Penang Hard Rock Hotel is The Beatles and being a fan, I loved being there. This was a fairly new place when I visited and I foresee that it had potential to become a tourist attraction. I was right. 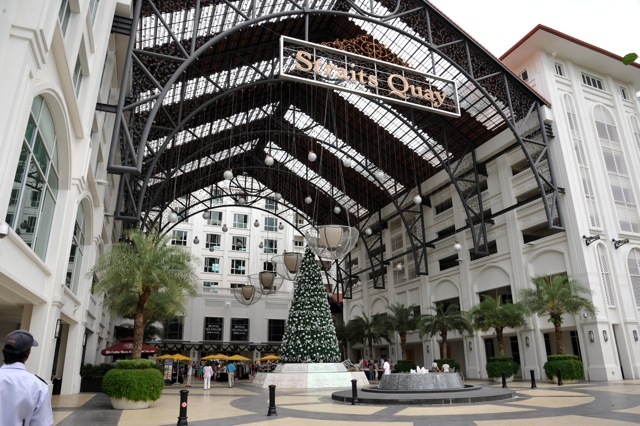 Straits Quay is the first retail marina enclave in Penang. It's a place where you can find a comprehensive mix of outlets from cafes to boutiques to a performing arts centre. If you've ever been to Clarke Quay in Singapore and fell in love with it, you'd love Straits Quay too. Personally, I love harbour cafes and just walking along while soaking up the sun and sea-wind, so this place was perfect for me! If the sun's not your thing, drop by at night for a beer or two at the array of bars there and admire the skyline and quay. Ok lah this one play cheat abit as the street art are scattered around various streets of Penang. This is one thing that I've had a chance to experience myself, which shows just how long it has been since I last visited Penang!! 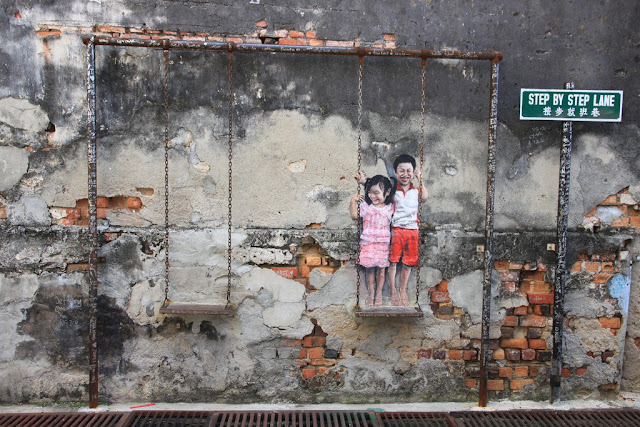 In recent years, there have been an increase in street murals in Malaysia and the trend was started by Lithuanian artist, Ernest Zacharevic. These wall paintings are not only interactive, but definitely Instagram-worthy. :p The artworks are funny and fascinating, big thanks to Ernest Zacharevic for leaving his mark in our historical homeland! 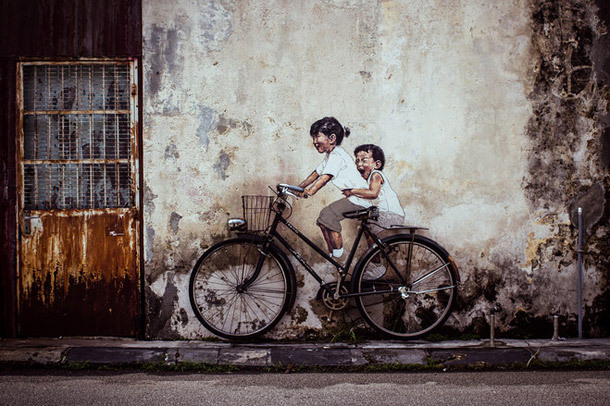 The above mural is titled, "Little Children on a Bicycle" and can be found at Armenian Street, Penang. Another famous painting, but this one is done by local artist Louis Gan. Support local! This mural is entitled, "Brother and Sister on a Swing" and can be found at Chulia Street Ghaut. You definitely CANNOT miss the food stalls along Gurney Drive at night! No need to travel far, all the must-eat Penang food can be found easily here. 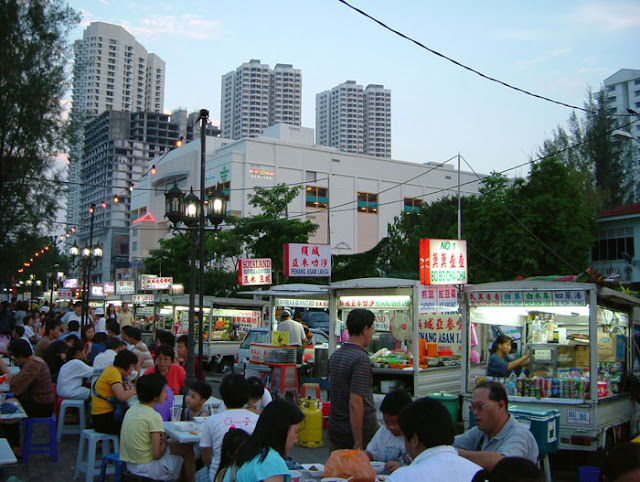 I love night markets and bazaars as well, the atmosphere is just so lively and uplifting! 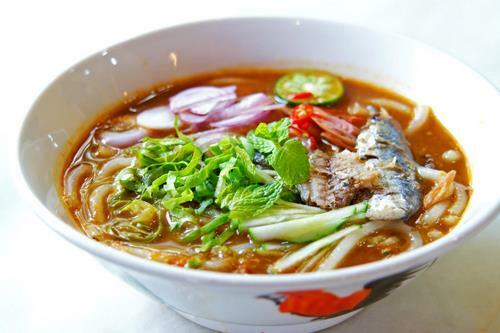 Assam Laksa, or better known as Penang Laksa, is the most iconic Penang food! The sour, spicy fish broth is the most comforting thing you can have on a rainy (or actually, any) day. The noodles used is usually thick beehoon and usually seasoned with prawn paste. Not everyone can accept the scent and taste at first, but I promise you'd get hooked to it once you eat it! I'd have AT LEAST one bowl everyday when I was in Penang XD The best for me so far is the one at Ayer Hitam (near Kek Lok Si) and near Penang Road Teochew Cendol. Another iconic Penang food is char kuay teow. 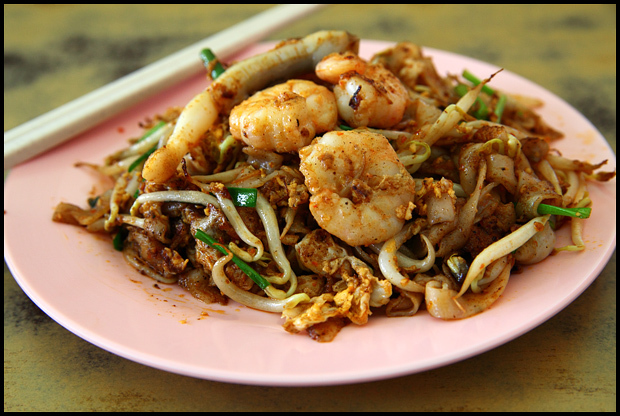 It's hard to say if fried kuay teow originated from Penang, but what makes it unique is the thick black soy sauce which is usually sweet, and tends to be charcoal-fried. This helps to produce "wok hei" which makes the dish that much tastier. My favourite part of the dish? Cockles & giant prawns!! One of the most famous char kuay teow places to visit in Penang is Sister's Char Koay Teow owned by two elderly sisters who have been frying this dish using their special recipe for years. My absolute favourite shellfish is oyster. Imagine my joy when I found that fried oyster omelettes were a THING. Penang definitely has the best fried oyster omelette or affectionately known by locals as "or-chien". 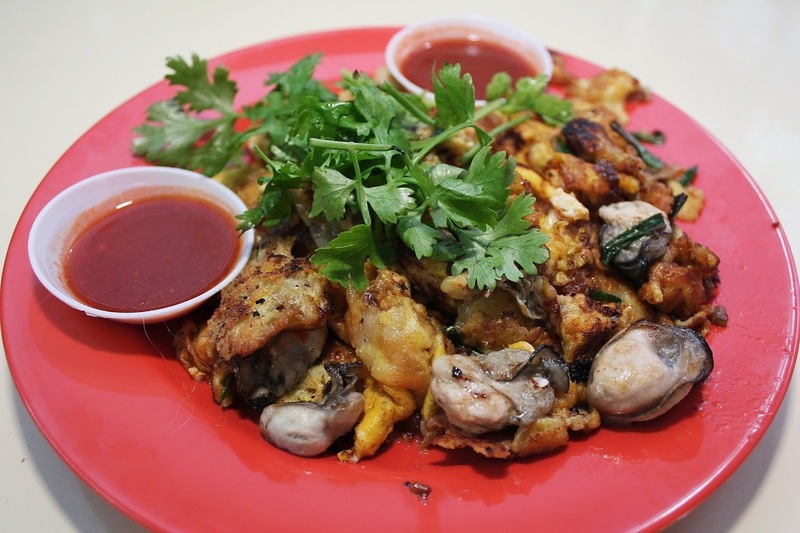 A good plate of oyster omelette has to have chewy yet crispy egg, paired with fresh, juicy oyster flesh. Yum! 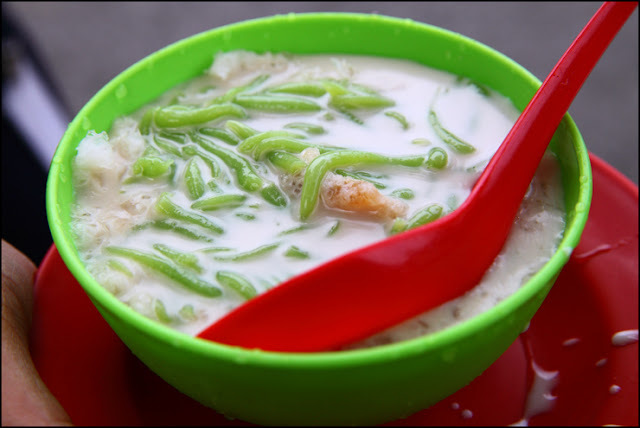 I'm drooling just from looking at this picture..
..or specifically, Penang Road Famous Teochew Cendol. People travel from near and far just to have a taste of the best cendol in Penang. 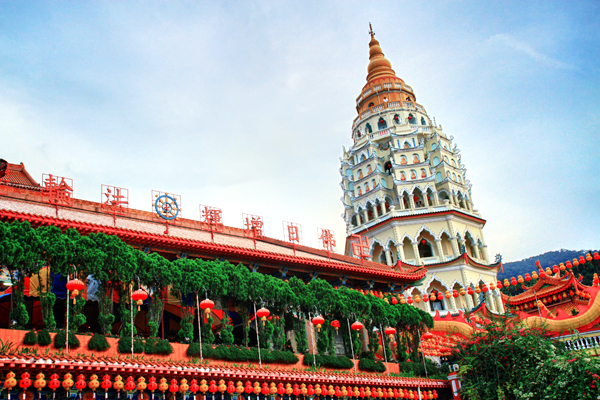 Even artists Gurmit Singh, or better known from his stage name, Phua Chu Kang, and on-screen wife Rosie, have visited this place. I distinctively remember this because I always see their photo when I'm queueing at the stall, so now you know how to recognise if you've got the right place or not. :p The business have expanded thus far from a small stall to a few branches in major malls over Malaysia. While the ones in franchises are not as great, please don't ever miss out the chance to try the original and authentic taste of cendol (the green thing) in coconut milk and sweet palm sugar while you're in Penang! This is something unconventional off the usual Penang food lists. I've only had this dish once many years ago and it was so good that the taste still lingers in my mind.. I'm not even kidding. Thanks to my aunt who brought us here! 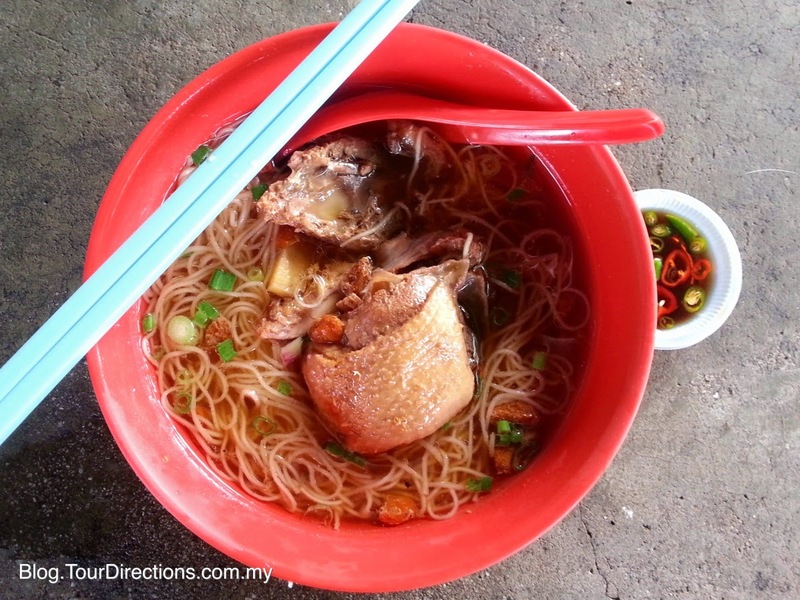 This is the Jalan Sungai Pinang Duck Mee Suah. While not many tourists know of this place, I'm sure locals do as it's a great place to have breakfast. The herbal soup base is flavoured with wolfberries to make it sweeter while the duck meat is generous and tender. I miss this so, so much that I can't wait to fly back to Penang just to eat this! I hope this list has been helpful to you if you're planning on travelling to Penang soon! 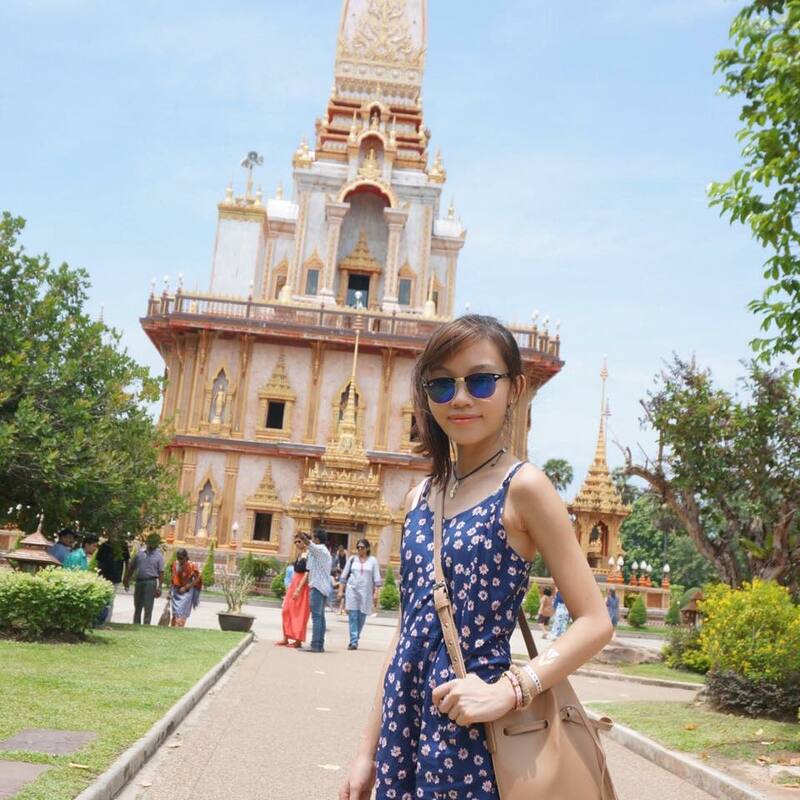 I guess I'll be booking my trip there next, since it's been so long since my last visit.. And I know EXACTLY where I'm going to do that.. with Traveloka! With Traveloka, you get the best deals all-year round on not only flights but hotels, all in one site! They strive to offer the most competitive pricing on flights & hotels in South East Asia with NO hidden fees. 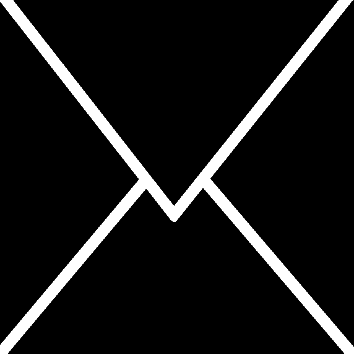 The site is straightforward and easy to navigate. Trust me, I've used many travel sites before which made me feel like /flipping table/. A Traveloka app is also available for your booking convenience from anywhere. Find the cheapest flights and hotels to plan for your next holiday destination! 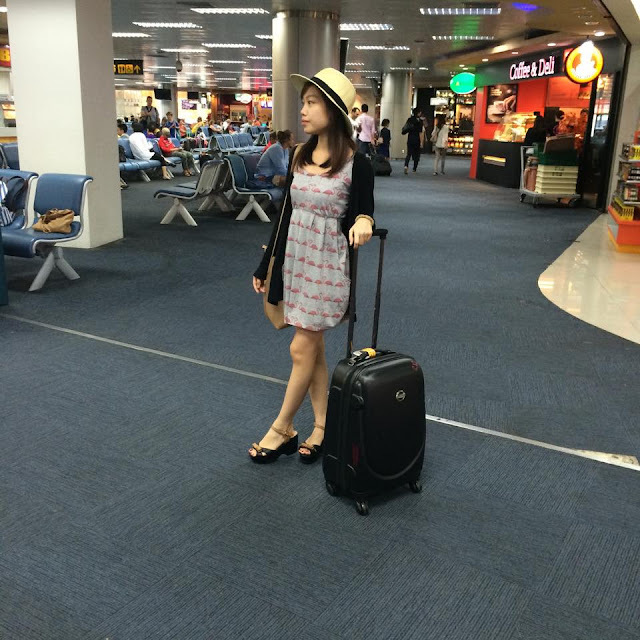 Traveloka is also hosting a Traveloka Lucky Getaway contest now. Try your luck and win the Grand Prize of USD500 to spend at Traveloka! That's a lot of money and you can easily book a comfortable flight & hotel for 2 with that amount. Contest is from 27th July till 23rd August 2015, so try your luck and get blogging now! Do you have cool works or designs but confused in where you can share it to the right audience? Try our feature to show your portfolio at http://fitinline.com/portfolio . It is FREE!